Healthy MEdia Hits the Media! Politic 365 reports that Geena Davis, Academy Award-winning Actor and Founder of the Geena Davis Institute on Gender in Media, and Deborah Taylor Tate, former FCC Commissioner, have joined together to launch Healthy MEdia: Commission for Positive Images of Women and Girls. Author Elesha Barnette states that "participating in the launch of the Healthy MEdia commission is a great fit for Davis who is a long-time advocate for women and girls in the media. 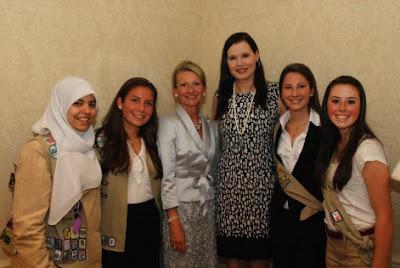 Also founder of the nonprofit The Geena Davis Institute on Gender in Media, and its programming arm See Jane, which engages film and television creators to dramatically increase the percentages of female characters, Davis has been vocal and active in promoting the need to increase the number of girls and women in media aimed at kids and to reduce stereotyping of both males and females." Deborah Taylor Tate was a Commissioner of the Federal Communications Commission. She was nominated by President George W. Bush and was unanimously confirmed by the United States Senate. She has spoken out in favor of Digital Rights Management and suggested TV may be a contributing factor in childhood obesity.